Healthy living is a life time commitment with no short cuts. Small steps taken in the right directions will make today healthy and pave the way for a healthier tomorrow. A nutritionally balanced diet in terms of proteins, fats, carbohydrates, minerals, electrolytes and vitamins is essential for general well-being. It enhances the immunity of the person by providing daily requirement of nutrients to the body. 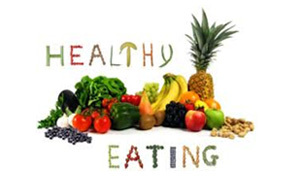 Therefore, healthy eating habits go a long way in ensuring a healthy life. Exists when a person is deprived of an adequate amount of the essential nutrients over an extended period of time and it’s this poor nutritional status that leads to deficiency diseases. Poor nutrition status can influence the incidence and severity of infections, diseases and recovery after surgery. Infection and nutrition are interrelated. 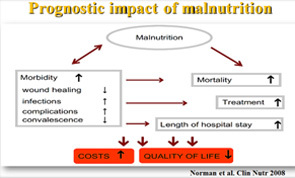 Infection results in Malnutrition and Malnutrition predisposes and aggravates infection. Increased risk of infection in the presence of nutritional deficiencies. 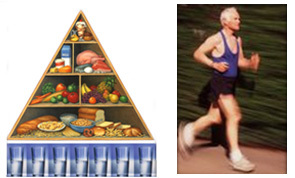 It is for this reason that good nutrition during illness and recovery phase is of prime importance. 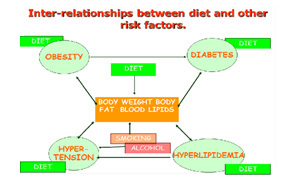 Over nutrition or obesityis leading to early onset of diseases like diabetes, hypertension and atherosclerosis. These to a certain extent can be controlled with a well-balanced diet and a good exercise regime. Patients in Apollo Hospital are met and assessed for nutritional status by the dietician on a daily basis. The dietary intervention is done taking into consideration the disease condition, social background and nutritional status of the patients. The patients are visited and assessed on daily basis by the dietician and thediets are modified in accordance to the progress of the patients. For critically ill patients, the nutritional status is assessed on a daily basis and special tube feeds are indigenously prepared for each patients and closely monitored on daily basis in coordination with the medical team. These special tailor-made feeds help the patient in recovery from the critical illness maintaining his nutritional status which plays a vital role in the curative and recovery phase of the patient. In our department, Counselling forms the main tool for disseminating the dietetic knowledge to both indoor and outdoor patients. Individual diet cards are prepared with detailed instructions so that they can take care of the medical problems more scientifically. At the Diet Clinic the diets are planned in accordance to the medical, social and physiological condition of the patient. A large team of dedicated and committed dieticians ensures individual personalized attention. Timing: 9.00 - 17.00 hrs.